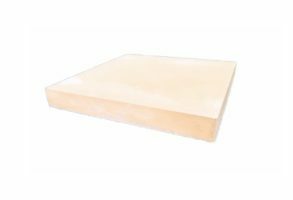 We offer a wide range of high quality Pier Caps at affordable prices. 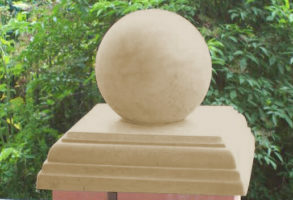 Perfect to provide a protective finishing touch to a gate post or pillar. Manufactured to the highest standards, here in the UK. 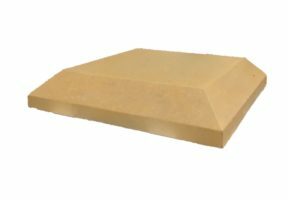 We currently supply Pillar Caps Nationwide through our website to home owners and independent builders, also supplying a number of large local and national builders merchants including Buildbase, MKM and Travis Perkins. 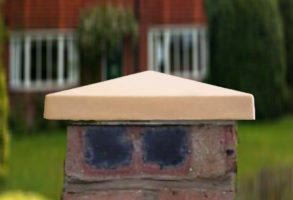 Our Chamfered Pier Caps range are great for adding the finishing touch, protecting your brick pillars from the weather in a simple minimalist style. 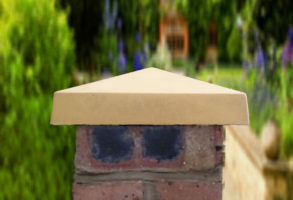 Our pier caps are easy to fit and come in a wide range of colours and sizes. 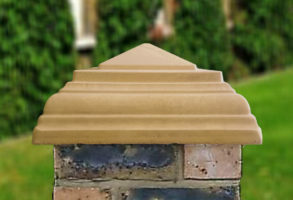 Our cast stone Chamfered Pier Caps provide the ideal finishing touch to a gate post, pillar or stone/brick gate pier. 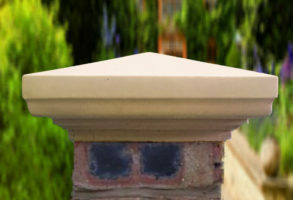 Pier caps are essential, practical and ensure your pillars have an attractive finish while carrying out the important job of preventing dripping rainwater off the surface of your pillar or post.